Whenever I make a ham, I always save the ham bone for this delicious pressure cooker Split Pea Soup with Ham recipe. 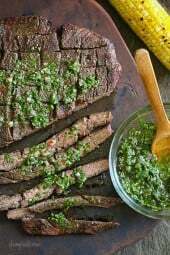 I always made this on my stove top pressure cooker but tried it this week in my electric Instant Pot and it worked out great. 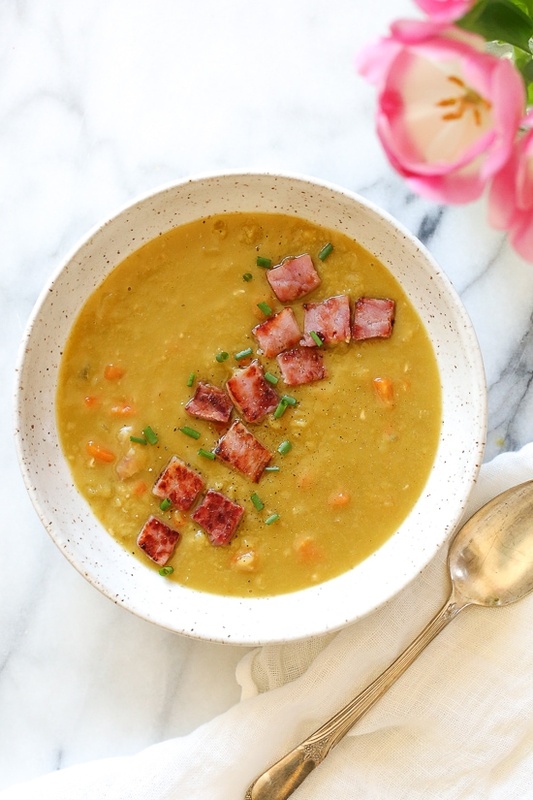 When I want split pea soup in a hurry, my pressure cooker is my best friend! Here I chopped up some of my leftover ham and sauteed it as my garnish. This bone was leftover from mt Apricot-Rum Glazed Ham recipe. When making soups and stews in the pressure cooker, very little liquid evaporates, so I usually cut the liquid down a bit. I found a great Pressure Cooker Cheat Sheet on Pressure Cooker For Dummies. I used Better than Bouillon, I love the flavor it adds to soups, but you can use chicken broth in it’s place if you prefer. 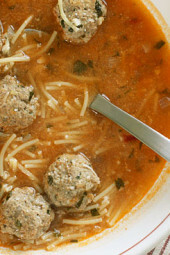 This soup freezes well, leftovers are perfect for lunch or make a batch for once a month cooking. 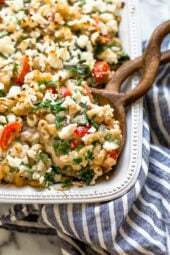 You can see more Instant Pot recipes here. In a pressure cooker, add oil, onions, carrots, celery and garlic and saute 4-5 minutes. 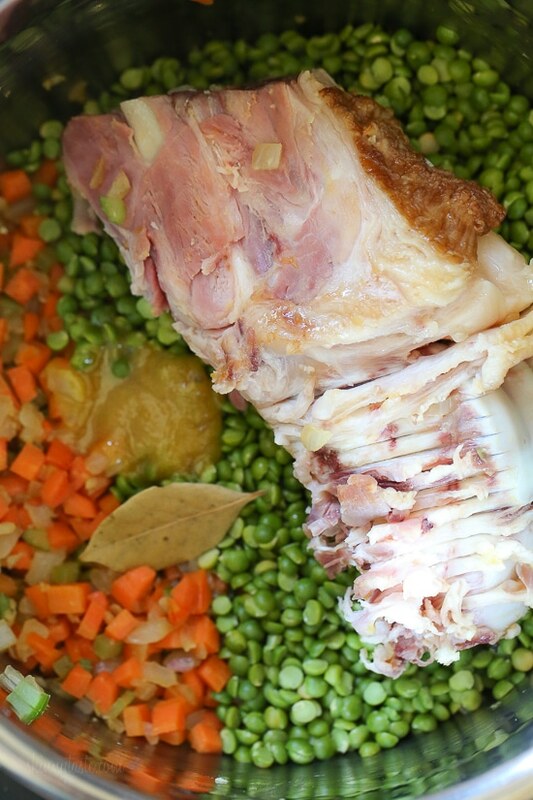 Add ham bone, peas, water, chicken bouillon and bay leaf. Cover and cook high pressure for 15 minutes. Let the pressure release naturally then open, remove the bone and bay leaf and stir, the soup will thicken as it stands. Saute the ham on a hot skillet if desired and use for garnish on the soup with chives. I made this soup and followed the directions but it was very thick. I had lots leftover and it’s really, really thick. Just add chi ken broth? It tastes very good though.